The hiatus in the much awaited and splendid monsoon, which has virtually scalded Delhi and much of north India, is expected to be over by Friday the next week. Once again, the birds would sing, air would be fresh with the pleasant ambiance all around, major picnic and tourist spots in Rajasthan would again blossom to welcome the travelers and nature lovers. Here’s sharing with you a beautiful destination in Rajasthan to visit during the monsoon season!! Pack your bags for the upcoming week and explore the unexplored regions of Rajasthan bedecked with greens….. The rocky parched landscape of Hadoti region of Rajasthan turns into verdant green during the rainy season with the tourist city of Bundi converting into a hill station of sorts and raising the prospects of monsoon tourism. 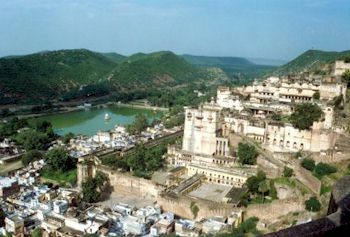 Enveloped by the Aravalli hills that are dotted with thick greenery along with waterfalls and brooks of crystal water, the city of Bundi that lies in the heart of the Hadoti region comprising Kota, Jhalawar and Baran districts offers abundant for the promotion of monsoon tourism. The monsoon generally enters into Rajasthan through Hadoti and provides relief to the perspiring and scorching heat of May and June and lashes onto satiate all living beings. 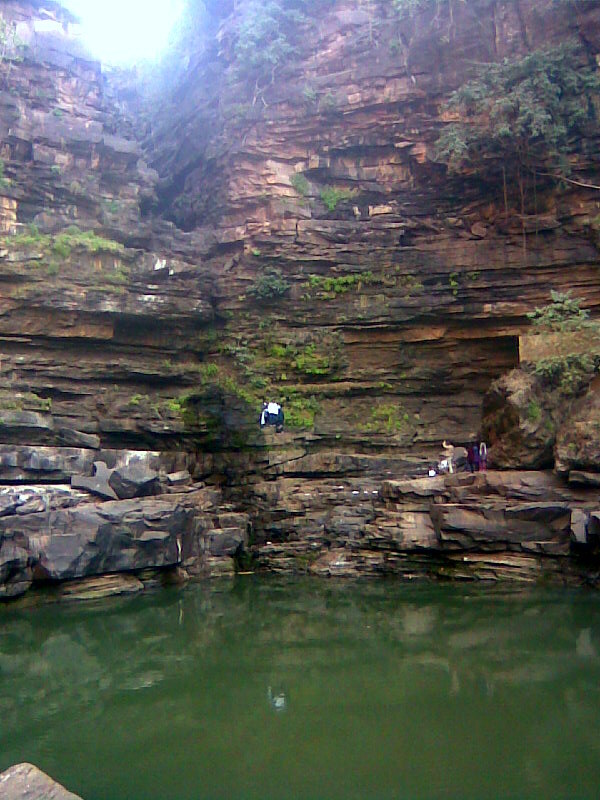 The waterfalls at Bheemlat, a cave temple of lord Shiva in the gorge at Ramseshwaram, the Bardha Dam, Dhobra on the hill top of Taragarh and the baolis (step-wells) in Bundi, are the key spots that are major attractions during the rainy season. Chattaneshwar, Karneshwar, Alina Dam, Gabernath, Kota Barrage, Chambal garden and Rana Paratap Sager Dam in Kota and Sita bari, Kapil Dhara waterfall, Paratapghar, Ramgarh temple also called ‘Khajuraho of Rajasthan’ are the spots of spontaneous beauty and tranquility in Baran district. Rocky but water laden landscapes of Jhalawar with picturesque Raien Basera on the bank of Kishan Sager pond are also bewildering sites for the lovers of nature and tourists. The placid charm and enchantment of nature during monsoon season, at these spots of Hadoti goes beyond the fancy of the tourist. So, what keeps you at bay? Pack your Bags now …….